I may not be the most help when it comes to reaching things (though customers at work seem to think I've got a go-go-gadget arm at the ready to reach them a ceiling-high tshirt) but I am helpful at hemming pants considering I've had to do it myself for the past... gosh, almost ten years? 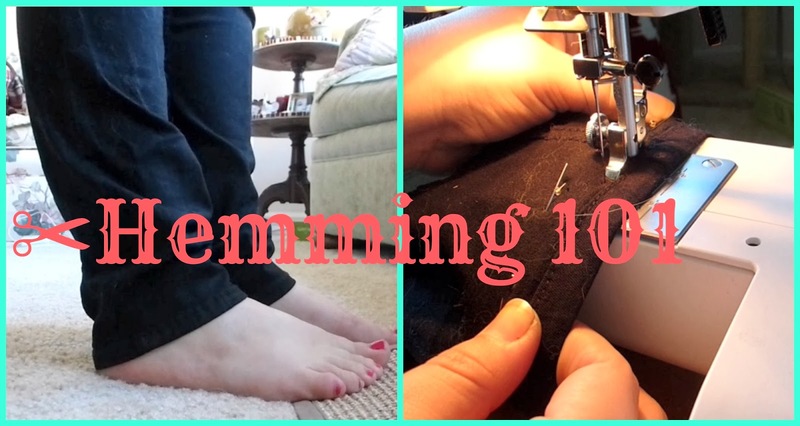 I'm always hemming my pants and dresses! I have two pairs of pants that have been waiting to get hemmed for almost a year... oh dear!